Most anglers nowadays are looking for a real wall hanger. Or a replica mount largemouth bass. 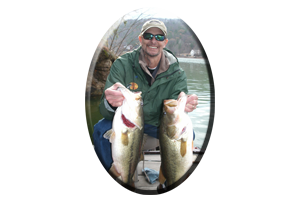 Finding a true trophy largemouth bass, one weighing 10 pounds or better, is becoming more and more difficult. Even when continuously fishing every major reservoir found throughout the state of Alabama this can become a life long goal. This task, many anglers are seeking to complete, could actually take a lifetime or for many…it may never happen at all. There are thousands of anglers that never even experience the thrill of hooking into a bass exceeding that magical mark of ten pounds. Much less even having a hope of landing one, when they do. Hooking up with a largemouth bass (hopefully one over 10 pounds), is only possible if you are fishing the right lake, with the right offering, at the right time. All of these variables have to perfectly come into place to even have a shot at catching such a fish of a lifetime. Truth is, there are only a handful of man made lakes in Alabama where this is possible. 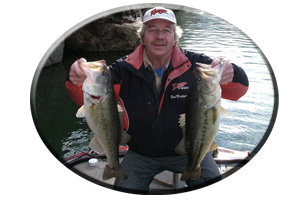 One lake an angler can really have a good chance of hooking into one of these true, trophy largemouth bass all throughout the months of March, April and May, is Lake Harris. This 10,660 acre lake situated near the town of Wedowee, (often dubbed by locals as Lake Wedowee) is located in mid Alabama. It stretches 27 nautical miles and is Alabama’s youngest impoundment. Lake Harris may be the last body of water to be impounded in Alabama. Lake Harris was impounded in 1983, backing up the waters of The Little Tallapoosa River and The Big Tallapoosa River. Fishing Lake Harris this spring will help in narrowing your search for a true, trophy-sized largemouth bass, one exceeding 10 pounds. So, look no more. 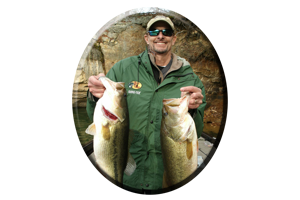 Lake Harris, on the upper Tallapoosa River in mid-eastern Alabama (near the town of Wedowee), has yielded many trophy bass in the 10 pound plus category each spring season. In years past Lake Harris has yielded dozens of largemouth bass in the teens. There are three bass all exceeding weights of 16 pounds on record, that almost broke the state record. Including a 17 pounder found deceased a few years back. Sadly found floating in Lake Harris, instead of some lucky angler catching it for a new state record largemouth bass. * March is just the beginning of the many shallow-water visits these monster-sized largemouth bass will make towards the shallows. * April will show spawning bass found lake wide on this small lake. * May will show some big, aggressive female bass as they come off the beds, hungry and feeding in or very near shallow water. By May Lake Harris will be back to full pool, after being down this winter. This rising water will spread out post-spawn bass in the newly flooded shallows. During this time lake waters are rising, while also warming up each week. Topwater explosions will dominate the post-spawn fishing patterns, as some huge bass come off the beds and display some very voracious appetites. So here’s some month-by-month bass fishing tips, for tackling some of Alabama’s biggest largemouth bass this spring on Lake Harris. With the lake still down in March, your search for these bass will be narrowed as spring gets underway. However, there is still plenty of deep water for these bass to retreat to when cold fronts and high pressure conditions send them to the deep. Warming trends, in which you have several consecutive days and nights of warm weather, will move these bass shallow on main-lake and deep creek points. Cold fronts can temporarily shut them down. Some bass will forage up in the nearby shallows of these points in small coves and pockets, in search of food and prime bedding sites. With water temperatures in the mid-to-upper 60′s many BIG bass will bed early…if conditions are right, usually taking place on or near a full moon. Many of these bass suspend during these prespawn times, so lures such as suspending minnow jerk baits, shad colored or crayfish colored crank baits, and rattling lipless lures all come into play. Heavy model spinnerbaits, in the 1/2 to one ounce models, often fool trophy bass when other anglers lures fail to entice a strike. 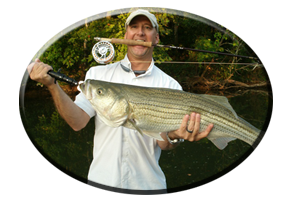 Spinnerbaits, in half-to-three-quarters of an ounce models, in colors of chartreuse & white, with big willow leaf blade combos of silver and gold, in blade sizes of # 6 to # 8, usually get the Big Bass bite. Big bass are found all throughout Lake Harris. Suggestions;, Use Berkley’s Trilene Big Game monofilament or fluorocarbon line in the 15-25 pound test category, with most of these lures. In anticipation of heavy spring rains, Lake Harris is often still down for winter pool during April. But as the lake’s water level return to full pool near the end of the month, the bass move up shallower each day. 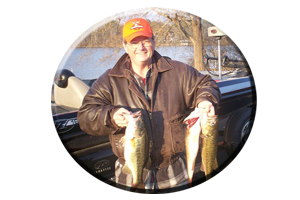 The ticket now for finding mid season bass is to find the warmest water available and look for shad or baitfish activity and bass busting or feeding on top. With stained to muddy water conditions (often so common during spring) these bass can be very shallow. Coupled with water temperatures consistently rising into the 70′s, spawning bass will be found lake wide. Usually found in less than 5 feet of water during the entire month of April. However, upriver spawning bass on Lake Harris can give way to downriver pre-spawn bass during these times. The much deeper and clearer water at the junction of the Big and Little Tallapoosa Rivers at midlake, to the downriver portions, takes longer to warm and can be as much as 5-10 degrees cooler during April. Many bass will be bedding at these times, both male and female bass, and two lures will cover both top and bottom dwelling bass in shallow water. For covering a lot of water fast, the buzz bait will generate a lot of strikes from active bass cruising the shallows. Always include a trailer hook for short-striking bass. Less active bass bedding near thick wood cover can be enticed to strike with jig combos. Try smaller jig combos or big, gaudy jig combos. This month is hailed as topwater month among most fishing enthusiasts. Lake Harris is no exception to that rule. After these monster bass bed, many female bass return to thicker cover or head for deeper water for the summer. But before they do, they spend for some time recuperating and feeding in or near shallow water. Many bass are still in shallow water all throughout the month of May. This is when topwater explosions can surprise even veteran anglers, most of which are unaware of the heart-stopping strikes these 10 pound plus bass display. Heart pills may be needed! Best Lures? In May, bass will hit everything in the box, from top to bottom. Still certain model topwater lures, entice more strikes than other surface lures. Schooling bass during May, can often be just a good cast away, when suddenly surfacing, these bass can attack a school of hapless baitfish with a vengeance. There is one lure you should have rigged for just such an occasion. It is a lure that entices strikes from bass that don’t even know your around. The Zara Super Spook. Distance can be attained with the long cast’s one can acquire using Pradco’s, “Jimmy Houston Signature Series Zara Super Spook.” It is much heavier than earlier model zara spooks, meaning longer cast’s and less wind resistance. This oversized offering, also has three hooks instead of two, with super sharp Excaliber rotating hooks for more holding power. There are many other enticing lures that will fool these monster bass on Lake Harris during the spring season. To many to list for now. As during any outing, its up to the bass to decide on a favorite lure and the angler to experiment, until he finds the key to unlocking the mystery of the day’s bite. From top to bottom, these bass can be caught with a variety of offerings. See www.spro.com or www.lurenet.com, www.genelarew.com or www.theduce.com for a wide choice of soft plastics, crankbaits, spinnerbaits, jigs, trailers and topwater lures. Texas and Carolina-rigged worms of all sizes, lizards, crayfish imitations, jig combos and even small finesse lures are great for these often slow, bottom feeding bass. Crankbaits, rattling lipless lures and hard jerkbaits fool a lot of trophy bass with unexpected, instinct strikes. Topwaters, soft & hard jerkbaits, floating worms, lizards, and of course spinnerbaits of all sizes, are just a few more of the shallow-to-deep water offerings to try during the shallow water months of March, April and May. * A few words of caution: There are Big bass in Lake Harris. Many bass from 10-16 pounds have been caught each spring, by the angler fortunate enough to land one of these tackle-testing bass. Always bring a good rod, reel and big, long handled landing net. Sharpen or replace all hooks, check your reel’s drag, use 20 to 25 pound test Trilene Big Game monofilament or fluorocarbon line and be prepared. Many anglers just go home with the old tale of the one that got away. Don’t let this season’s, ”Big Bass Disaster” happen to you, due to these often, overlooked angler errors. Be prepared!